By the end of the summer around here we are typically finishing up odds and ends on the farm, around our home, and planning the last of our date nights for the next couple of months. But, more importantly we are gearing up for a busy, fulfilling time of year. Harvest. During Harvest we work long, we work hard; I go back to being single, and a single Mom. Date nights are few and far between and typically means it is raining. One the of most important things about dating a farmer, or being married to one, is the ability to be flexible. I am completely organized, on top of things- always, and prefer to stick tight to a schedule. Real tight. And I married a farmer. That often will call for a “quick” ride that turns into two hours later. A “quick” parts run that takes all day. And, “Can you come run the tractor for a little bit…” that turns into a 16 hour day. Needless to say, in the last 5 years flexibility and I have learned to live in the same house…not always happily, but we live. It’s also important to remember that if you have animals they always, always come first. And that means 7 days a week, all year long. Even on Christmas. So, being flexible about having to move snow on Christmas day, instead of spending time together as a family is a definite possibility. It has happened to me twice in 5 years! I have learned in my 5 years on the farm to take advantage of EVERY opportunity to be together, or else you will go awhile before you are together. It may mean sitting in a bumpy tractor for the day reading off and on, picking up rocks, and getting some good quality conversation in between. It may mean riding in the semi at 4 A.M. eight months pregnant just to spend some time with your hubby. It may mean taking silly pictures in the tractor at midnight while you wait for the last few loads of silage, because you only have a few to go before you are done. Flexibility and I haven’t always been friends. But, I have learned to be flexible. Some of the best memories I have of me and my farmer are during those long nights in the tractor taking funny photos, cleaning grain bins, driving around checking fields, and even a sushi date every now and then. It may be hard to be flexible at times, but I think you will find, just as I did, that sometimes the best memories come from those times of being willing to add some flexibility in your schedule. I am two years in to my “flexibility training.” I am also very organized. I plan my week out at least a week in advance (still…usually doesn’t go as planned anymore). 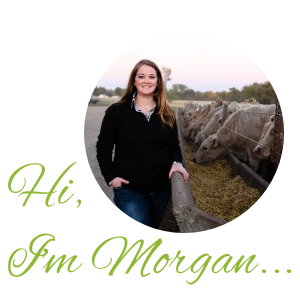 It was a hard start with moving to the farm right at harvest 2 years ago, going from a full-time working mom to stay-at-home-farm-wife with a 6 mo. and 2 year old. Now with baby #3 due right after harvest I am taking my date nights as much as I can – even if it is just a ride in the pick-up while the kids (now 2 & 4) get combine rides from Grandpa and Grandma! Love hearing about your life on the farm…it sound so much like ours 🙂 And I also moved to the farm during harvest in 2008! It was crazy, but hard not to fall in love! Oh my goodness I bet you are a busy, busy Mom with 5 little ones! And yes…the time of year that is bittersweet grows closer and closer every single day! With all this heat we have been having it will be interesting that’s for sure! Good luck to you this harvest! And stay in touch! You can be proud of you family and your farm business, really! You have learned a lot already, you are doing a great success with flexibility and appreciation (yep, I read that post, too!). I know how hard sometimes is farm life and as you do wheat growing I think the link Microwave Moisture Meter will be helpful to you. They produce all kinds of moisture meters, as well as grain moisture meter. I wish good luck to you and your beautiful family! Your blog post about being flexible could not have come at a better time!! I am dating a farmer and this will be the first harvest I have been around for. I grew up farming and know the stresses and the long nights but it sure is different when you are trying to build a relationship and hopefully a future together. I look forward to being flexible!! It totally is Bonnie! But, I think since you grew up on a farm one area you will not lack in is understanding! In the beginning I spent hours sitting in the tractor with my husband, late into the night…just so we could be together! I still cherish those moments! Good luck to you this harvest season and stay in touch!